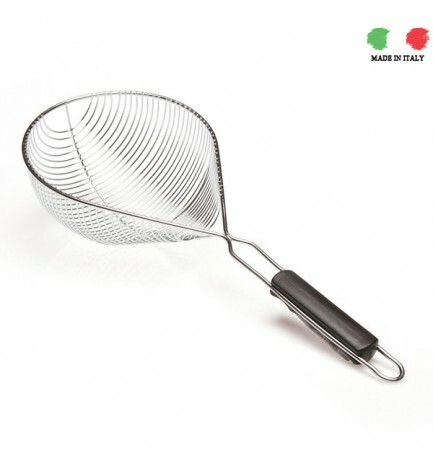 This design pasta colander in chrome and aluminium is made in Italy. Zou can easily take out the pasta directly from the boiling water. Or you choose the classical way and pour the water with the pasta over the clander in the kitchen sink. In any case : Buon appetito !